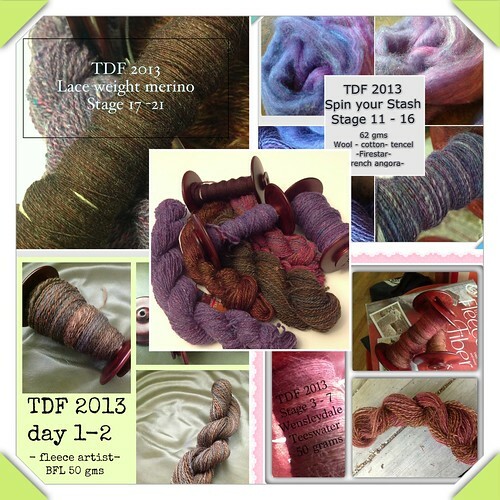 sheepless in suburbia: Tour de Fleece 2013 - finale! Well after 3 weeks of daily spinning my "Tour de Fleece" has come to an end. It was a great tour with Chris Froome winning the Maillot Jaune, and Nairo Quintana bursting from pack to win King of the Mountains and Top Young Rider. This year I joined the Spin Your Stash Team on Ravelry, and I'm delighted to say that I managed to spin up 6 skeins with a bobbin of a laceweight merino singles yet to be plyed. Once that's done it's time to return to my other "in process" projects... seems like there's always something to look forward to! 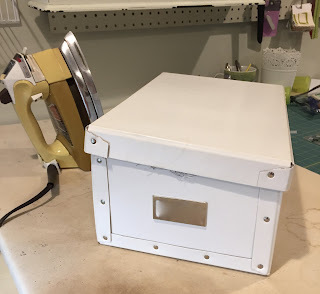 Happy Needle and Thread Network WIP Wednesday! Absolutely gorgeous!! OH, how I miss spinning !! Yay for spinning! The colours are gorgeous...now to put them into projects! one of my 'wish for's" to be able to own the sheep who grow the wool and know how to spin it into yarns for me to crochet fantastic fashions.... so far, I am at least very good at the crochet part! It would be so fun to work with what you have produced! While on vacation in NB this summer, my husband and I were quite intrigued by the spinning that we saw at Kings Landing. Fascinating! You've got some beautiful yarns here!